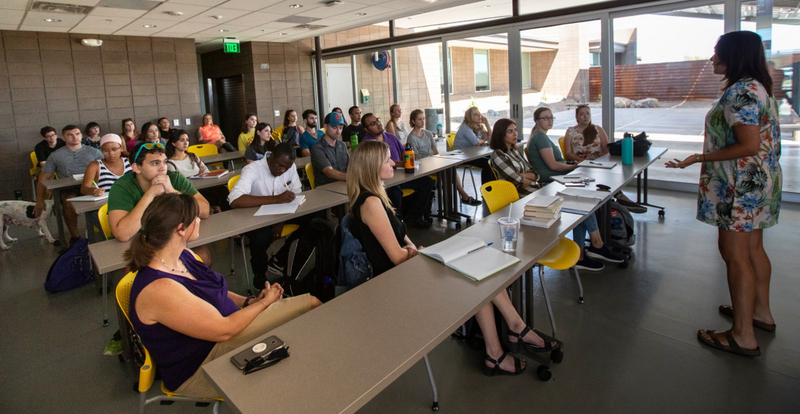 The University of Arizona Mel and Enid Zuckerman College of Public Health and the Pima Animal Care Center (PACC) have formed a partnership to allow graduate students to participate in research projects at the animal shelter as part of their One Health program coursework. According to the Centers for Disease Control and Prevention, Zoonotic diseases are very common, both in the United States and around the world. Scientists estimate that more than 6 out of every 10 known infectious diseases in people are spread from animals, which can serve as an alarm to warn us of illnesses like Middle East respiratory syndrome (MERS), severe acute respiratory syndrome (SARS) and various avian influenzas, steering responses to outbreaks around the world. The core concept of the One Health approach is that multiple disciplines collaborate at the local, national and international level to improve the health of humans, animals and the environment. This means that public health professionals, epidemiologist, physicians, veterinarians, nurses, pharmacists, dentists, and federal health officials all work together on key health issues. “This course teaches students about the complex relationships between humans, animals, and the environment for everything from infectious diseases to the importance of the human-animal interaction in various aspects of health and well-being,” said Epidemiologist Kristen Pogreba-Brown, PhD, assistant professor at the UA Zuckerman College of Public Health. “Our partnership with the Pima Animal Care Center will expose students to a new paradigm of animal and human welfare. It also fulfills the mission of our college to work hand-in-hand with the community to address important public health issues,” Dr. Pogreba-Brown added. PACC, a Division of the Pima County Health Department, is an open admission shelter, accepting all pets, regardless of age, health, color, breed, or temperament. PACC provides pet rescue, shelter, and adoption services in addition to promoting and supporting a low-cost spay and neuter program, and vaccination and licensing services. The animal shelter also responds to and investigates complaints of animal abuse. “We’re thrilled about this opportunity to match graduate students with the Pima Animal Care Center staff in order to save more lives and create even better programs. The students are all signing up as volunteers so this is a win-win for PACC and the University of Arizona,” said Kristen Auerbach, PACC Director of Animal Services. Evaluation of call-line data: Students will monitor the calls coming into PACC looking for patterns in the type of requests from the community; Infection Control: The students will document the diseases and infections of animals being processed into the shelter to identify areas in Pima County in greatest need of help; Program Evaluation: The students will evaluate existing PACC programs, including Foster Care and Care Kits for pet owners facing homelessness; and Intake Data: A survey that can help determine additional information on pets and owners such as demographics, breed, and vaccination history. The UA Zuckerman College of Public Health launched the Master of Public Health (MPH) degree program in One Health in 2017. The new course is taught by Dr. Pogreba-Brown and Katherine Ellingson, PhD, professor and epidemiologist at the UA Zuckerman College of Public Health.